Let’s start with the essentials: Yes – chocolate grows on trees. Seeing as it’s chocolate month here in the NEFF kitchen, we thought we’d don our detective hats and trawl the history books in search of some background on everyone’s favourite baking ingredient, in our search to find out where chocolate comes from. First and foremost, it is Mother Nature that we have to thank for our favourite ingredient. But credit must also go to the Olmec, Mayan and Aztec civilisations of Latin and Central America. In a tropical rainforest deep in the heart of Mexico, 1900 BC saw the cacao bean make its first foray into the world as chocolate. But it wasn’t chocolate as we know it today. Far from the sweet, creamy dessert of the 21st century, the fermented cacao bean was first combined with vanilla, spices, honey and chilli to make a bitter, hot drink – used predominantly as an aphrodisiac, medicinal concoction part of spiritual rituals. In addition to its role in the culinary and pharmaceutical repertoires of Mesoamerican culture, cacao also served as a symbol of wealth. At one point, cacao beans were even used as currency. This reverence swept across the globe, reaching as far as the European aristocratic society of the 17th century, where royalty deemed it to be magical. It was only in the 19th century that the carefully moulded, firm, smooth (and sweet) chocolate that we know today was invented. Coenrad Johannes van Houten, a Dutch chemist, is responsible for this revolution, which involved a cocoa press and the newfound ability to separate cocoa butter from its bean, and grind down the dry remnants into a repurpose-able fine powder. With this invention, the relative industrialisation of theobroma cacao ensued. Today, most of the world’s chocolate is grown in Africa rather than its native home of South America. How do you like your theobroma cacao? The name itself speaks volumes: the cacao bean’s scientific name is translated into English as the “food of the Gods.” And our worship-like love of chocolate can be seen in all facets of modern society. 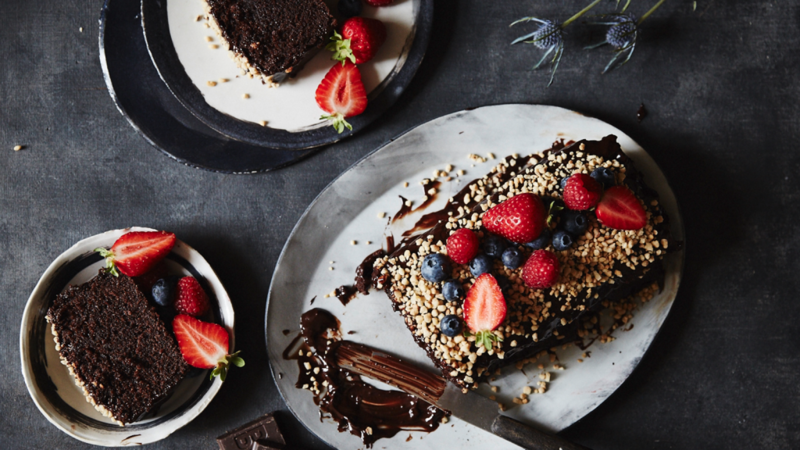 Our grocery shelves are lined with sugar-fuelled manifestations of the dessert, and recipe books repurpose the versatile ingredient in a multitude of innovative ways (our current favourite has to be the chocolate cake). In case that wasn’t enough, $75 million is spent on chocolate each year. It’s clearly a case of love at first taste.